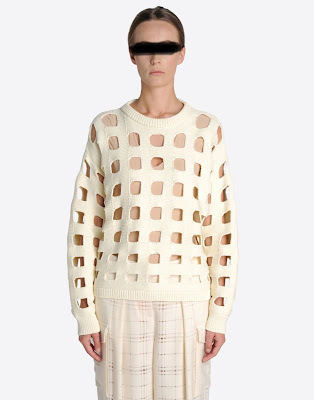 I often look at designers' knits for inspirations. And to knitting books as well. It's all knitted in garter stitch, and I wanted to enhance the square theme by making a mitered corners neckline and armholes. 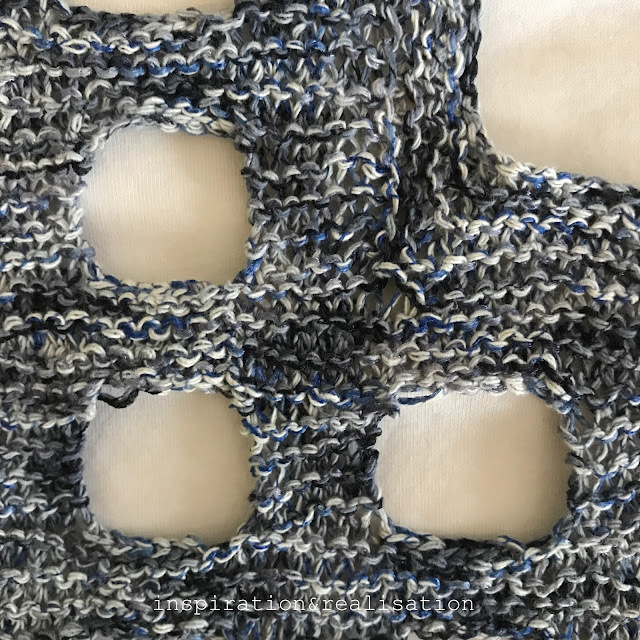 I used a cotton-base yarn wrapped in lurex in shades of light grey, black, royal blue and navy blue. (from Lia Gallo FB page - I used for this vest leftovers from a cone I got few years back). I don't like the look of pooling yarn, so this was a good way to avoid any pooling - breaking the pattern every few rows. 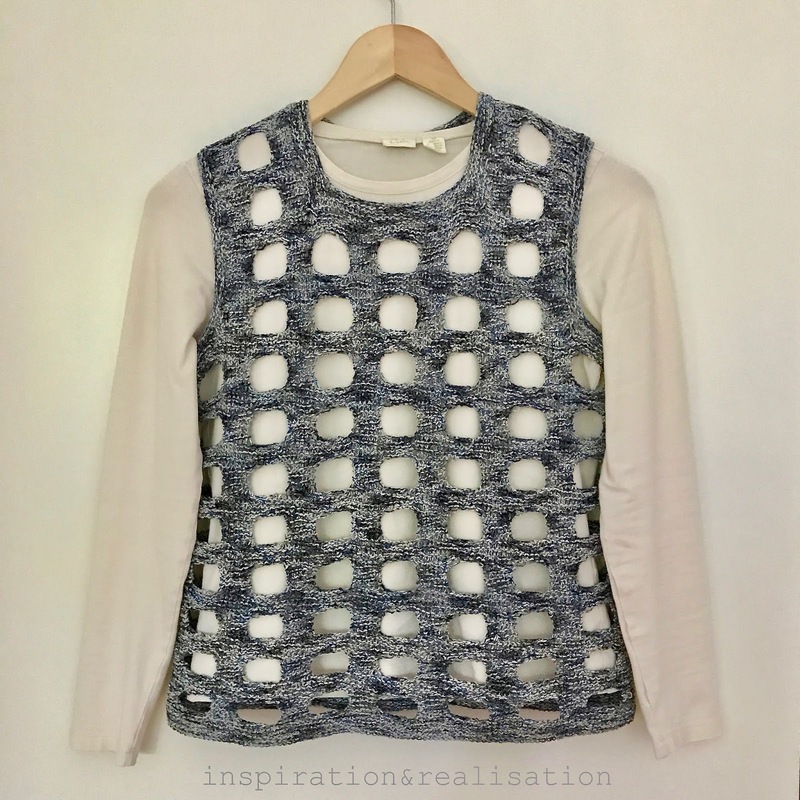 I still want to make a whole sweater with this pattern, with the squared, more pronounced neckline as I did for the vest, in wool/cashmere. It might happen. Not sure, though! 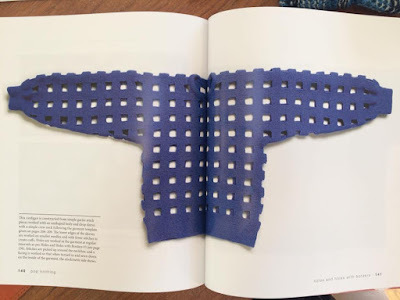 I have a folder on my computer called "to-do-knit" where I place images from random e-shops.